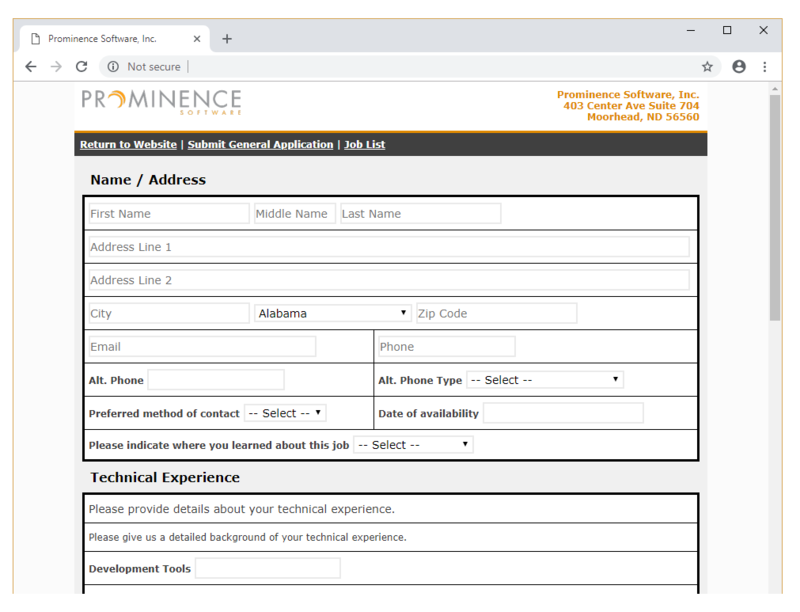 Using Workforce General’s online application form, you can collect applicants and resumes from potential new hires. As applicants are added to the database, you can easily see new applicants, schedule interviews, and assign to multiple recruiters. Searching for older applicants is easy with the built-in search functionality. You can assign a “rating” to each applicant as you review the resume details. After giving each applicant a rating, you can easily filter your list so only applicants that meet minimum qualifications will be considered. Each applicant can be assigned to a user. If your organization has multiple recruiters, as applicants come into the system they can be assigned to a specific recruiter who can then review the qualifications, schedule interviews, and offer or reject the applicant. 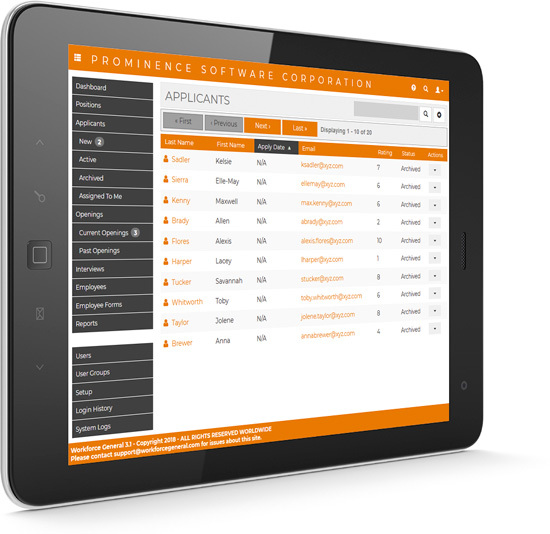 The application form provided by Workforce General can be used on multiple device types. Applicants can complete the form using a desktop, laptop, tablet, or mobile phone. The forms are customizable so you can add/remove any of the application questions. You can customize it to ask all the relevant information you need for your hiring decisions. Your application can be configured with your company’s colors and logo.